For those of you who loved the movie Gandhi — or those of you who have never seen it — there is a 25th anniversary special edition DVD. it came out in 2007 but I just found out about it! the 2-disc set has interviews about filming in India, about finding the right actors, along with archival footage, plus the picture and sound have been digitally remastered. Richard Attenborough’s Gandhi, a labor of love that took nearly 20 years to make it to the screen, is one of the last true epics that spans decades yet keeps you tied to an emotional, human anchor. That anchor would be Gandhi himself, Mohandas Gandhi or Mahatma “Great soul” Gandhi as he was referred to later on in his life by the people of India. Winner of eight Academy Awards including Best Picture (1982), Best Director (Attenborough) and Best Actor (Ben Kingsley as Gandhi), Gandhi has been released for a second time on DVD, this time however as a glorious 2 disc set celebrating its 25th anniversary that has to be one of the best DVDs released in 2007. I have never been to north India where Gandhi spent most of his life. 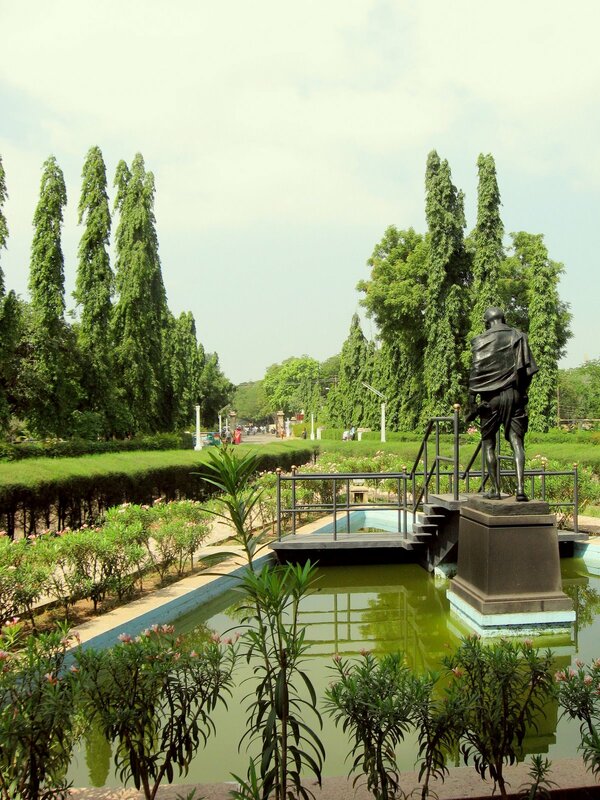 but what many people don’t know is that he also spent time in Tamil Nadu, the state that I travel to in India. 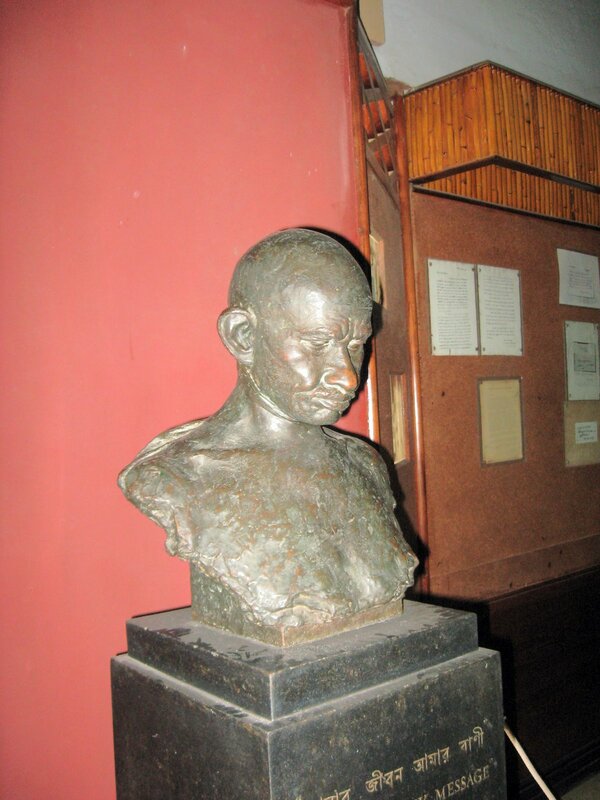 I have been to Madurai twice, the last time just this past January, and I always make time for the Gandhi Museum. It is a place where I find peace in the riotous city of Madurai. 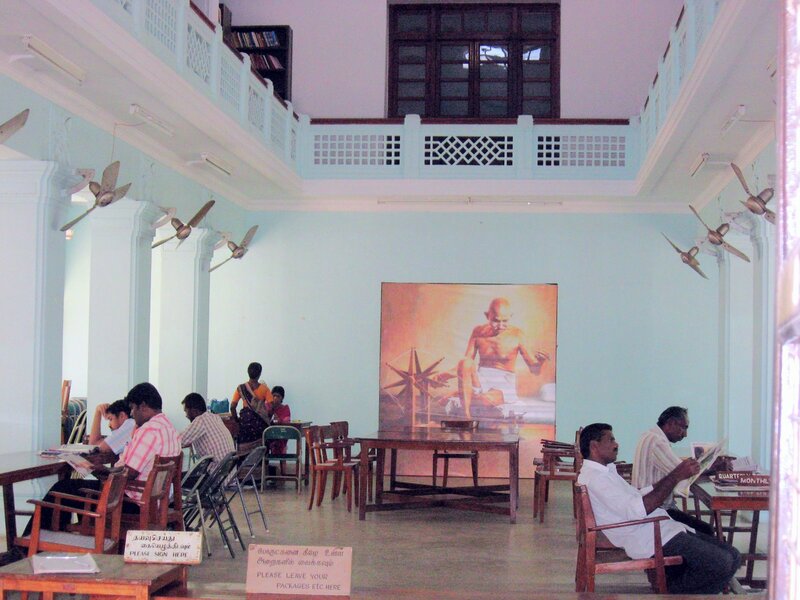 the exhibits tell the story of Gandhi’s life in south India and how important Tamil Nadu was in the India’s struggle for independence. the last exhibit is in a room that is painted black — it is a glass case that contains the dhoti that Gandhi was wearing when he was assassinated and it still contains his blood stains. I can not describe how much I love spending time at the museum, just walking around the grounds, visiting the bookstore, buying chai from the chai seller, who can’t speak English but always has a big smile for me when he gives me free pictures of Gandhi. The Partition is still a very sensitive subject for many Indians. my compartment mate told me that many Indians hate Gandhi the same way that many Americans hate George Bush. those of us who know how much Martin Luther King, Jr. admired Gandhi will find this sentiment shocking. 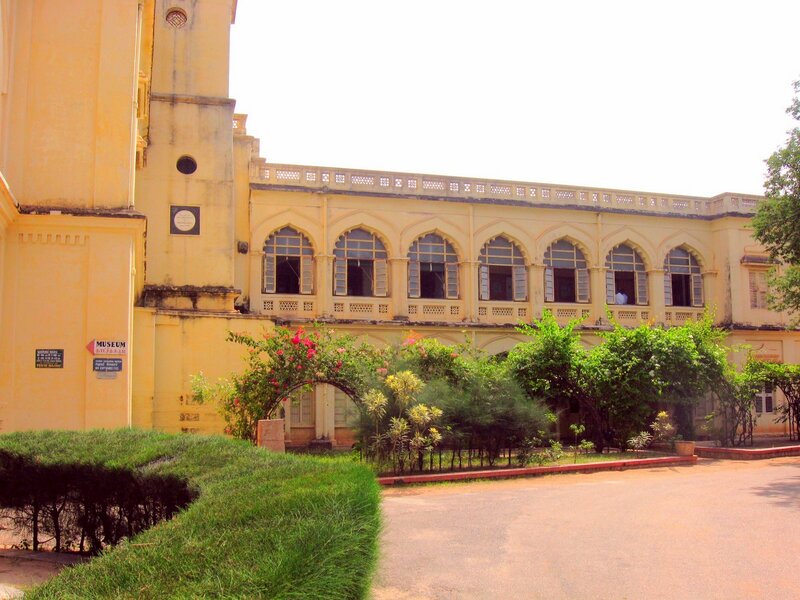 some photos of the Gandhi Museum, Madurai, Tamil Nadu, India…. I learn something new from your site all the time! Keep up the wonderful writing and congrats on being recognized by a “published author”Loved Ghandi the first time, will watch the re-release..